A story as old as time! 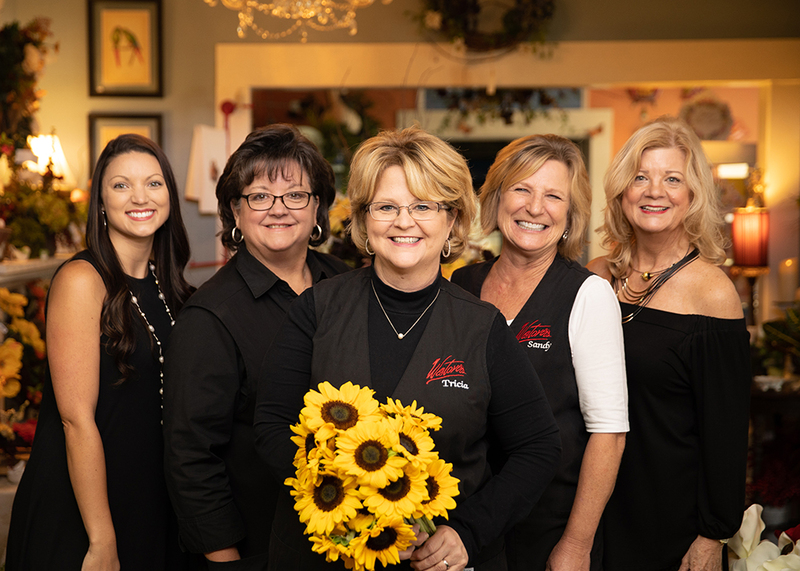 This Hernando County florist shop has changed over the years into a shopper’s paradise and event/wedding studio. Westover’s Flowers & Events has been serving Brooksville and the surrounding area since 1981. Located in the historic Hawkins House along with Mallie Kyla’s Cafe and The Pearl Porch we have become a destination for a fun day trip. Creativity is continually the Westover’s specialty. Through wedding and event design, the huge showroom of permanent botanicals and plants, children’s boutique and more, it will be hard to avoid the artists’ enthusiasm that comes with every project. Westover’s always appreciates when their team’s flowers are noticed, so each arrangement is unique – using only the freshest product from local growers when possible, and from all parts of the world when not. An experienced design group that have a lot in common – THEY. LOVE. FLOWERS. They not only love what they do, but they truly build in their hands what they have in their hearts. 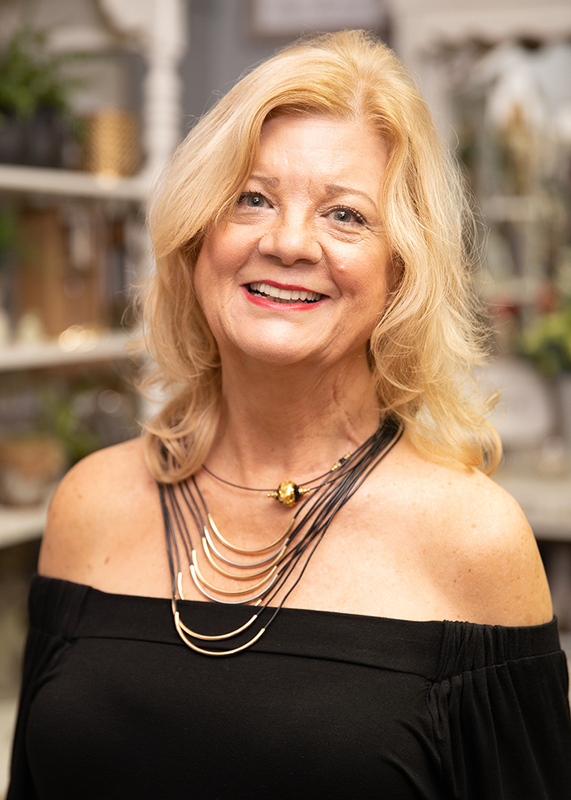 Owner, manager, lead designer,and a wedding specialist since 1981. 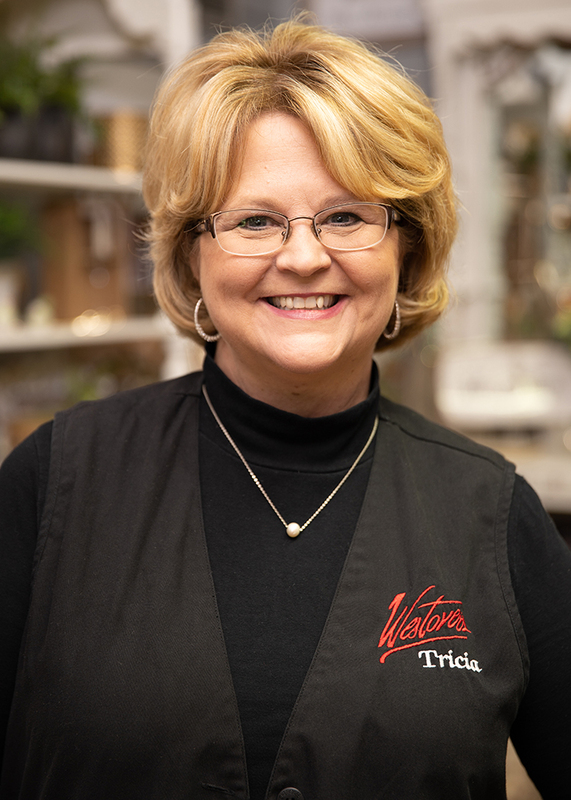 With a keen eye for creative and original designs and a warm down-to-earth personality, Tricia’s passion for her work is evident in all that she does. Available by appointment only. Let’s start planning your next event! 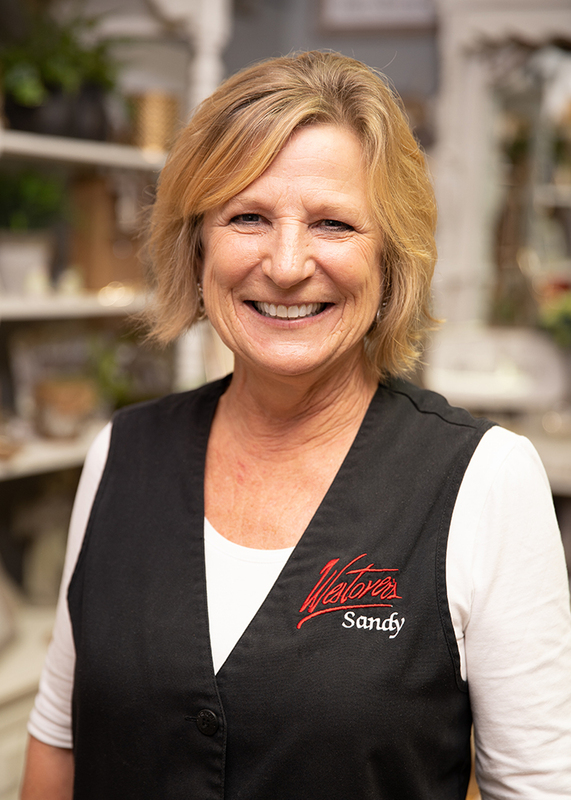 An award winning designer from Wisconsin, Sandy joined the Westover’s team in 2016. Her wide range of design experience has added to the everyday and wedding success. Our permanent botanical designer. Debi’s creativity stems from her love of nature and all things Florida. As an amazing designer, her career at Westover’s spans over four decades. She is also Westover’s quality expert, making sure all flowers are the best available on today’s market. 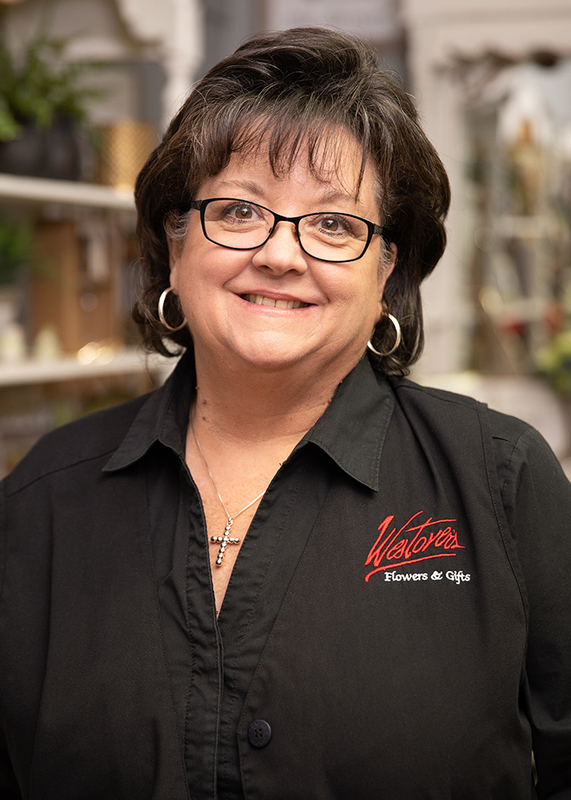 Pam is the face and smile you see when you step into the Westover’s shop. Pam is a retired educator turned interior decorator. 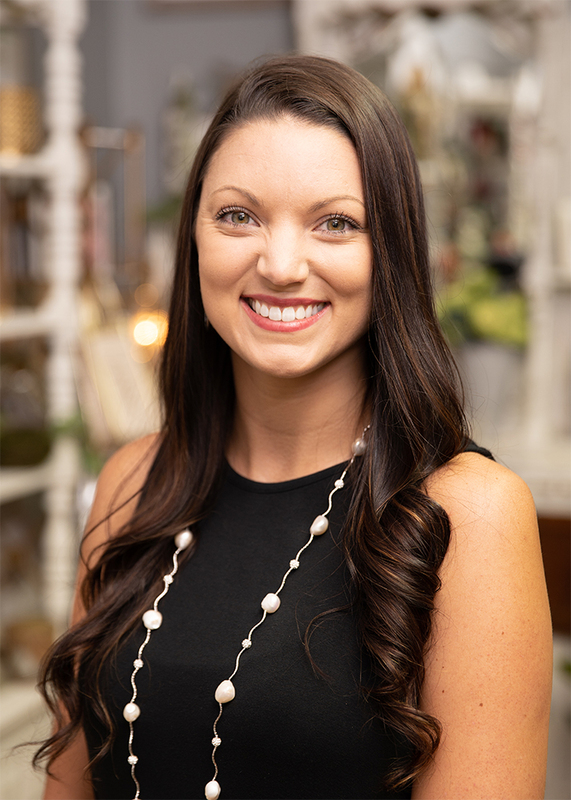 She takes charge of the retail space and will help you pick out the perfect gift or home accent. Her expertise in color and design completes our team. Details! Details! Erica is Westover’s lead for most weddings and events. She keeps up with today’s wedding trends, not only flowers but tablescapes. She is the perfectionist and she loves all things purple!